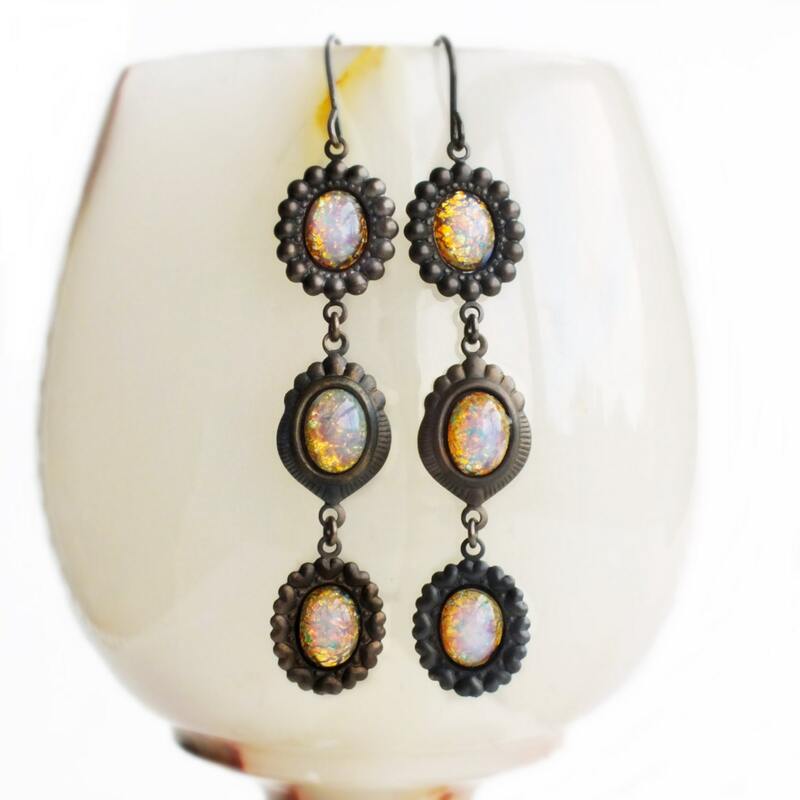 Long Victorian handmade opal dangle drop earrings with vintage pink glass harlequin fire opals. 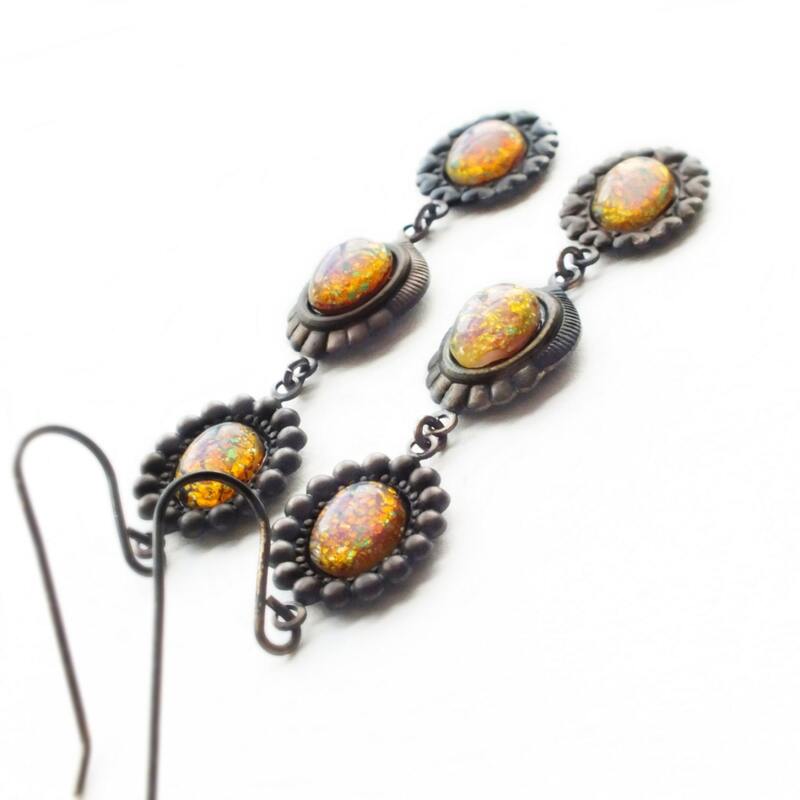 2 5/8 inches - 6.5 cm long. 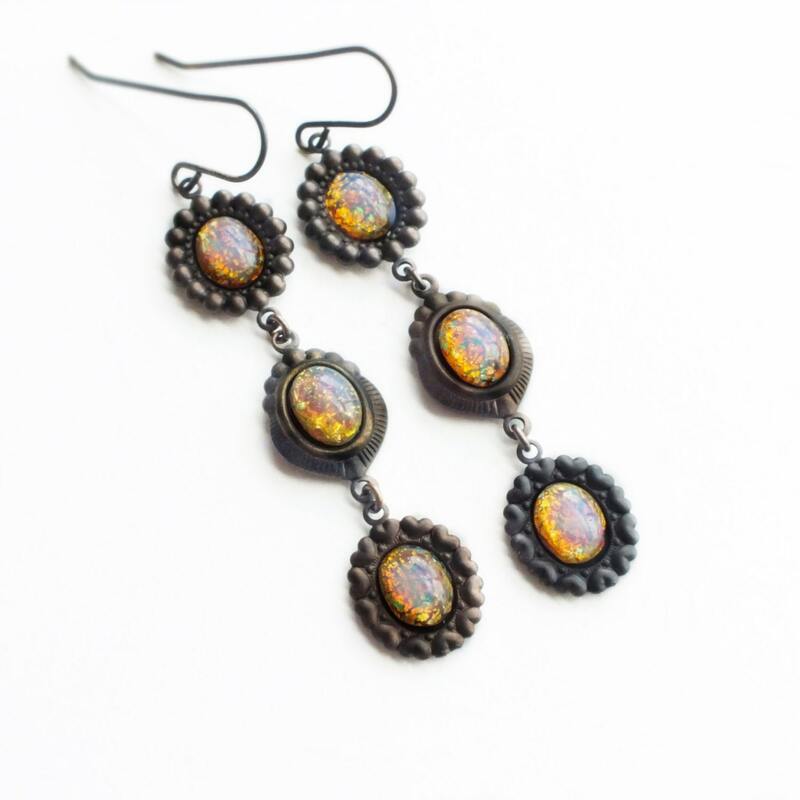 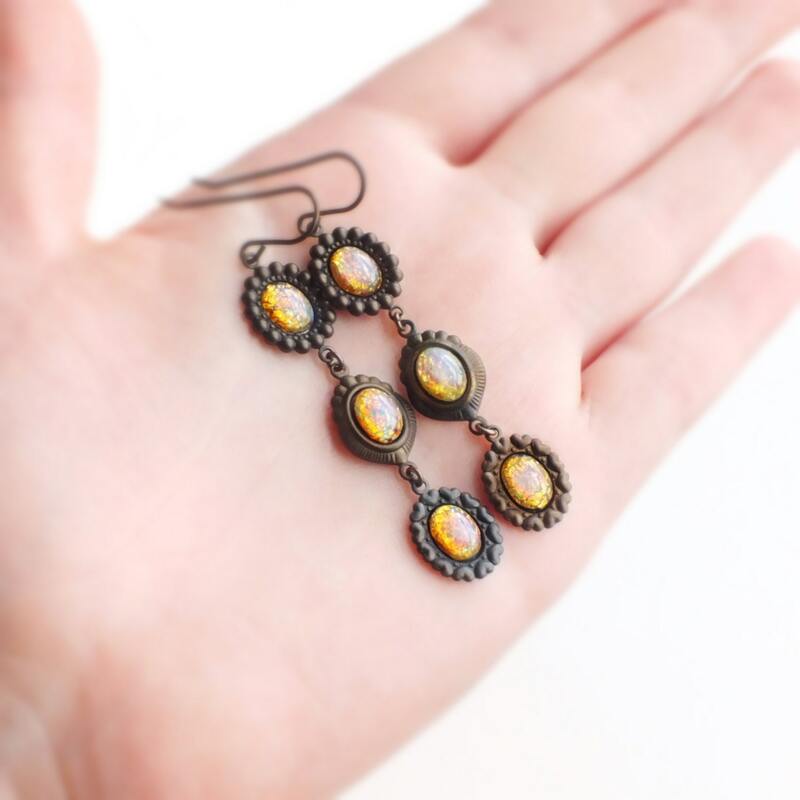 Victorian style dangles made with tiny genuine vintage pink glass harlequin fire opals set in small ornate brass frames I antiqued to a dark matte patina. 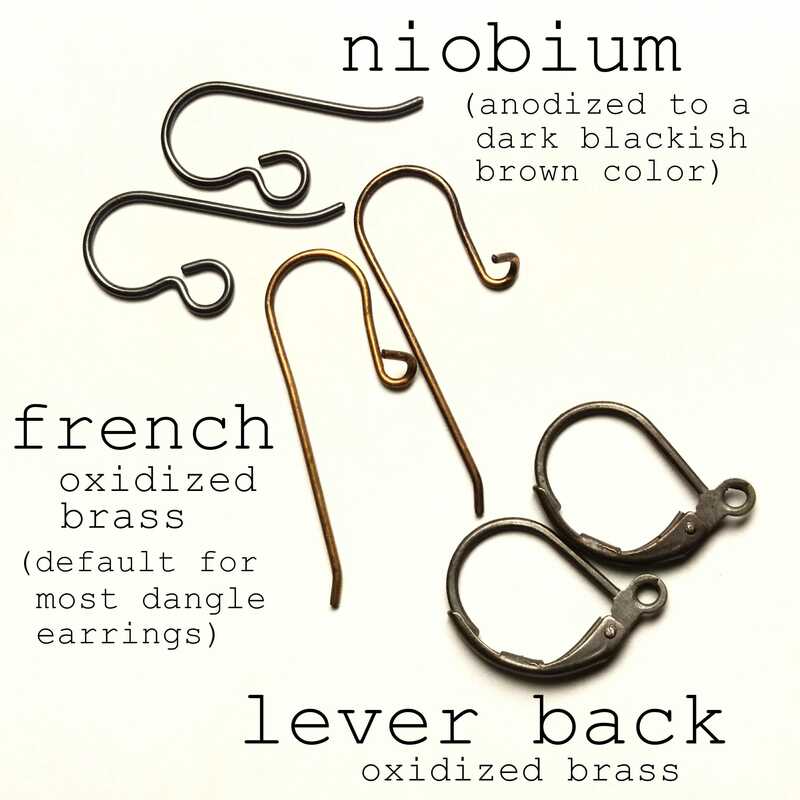 -Regular french hook oxidized brass. 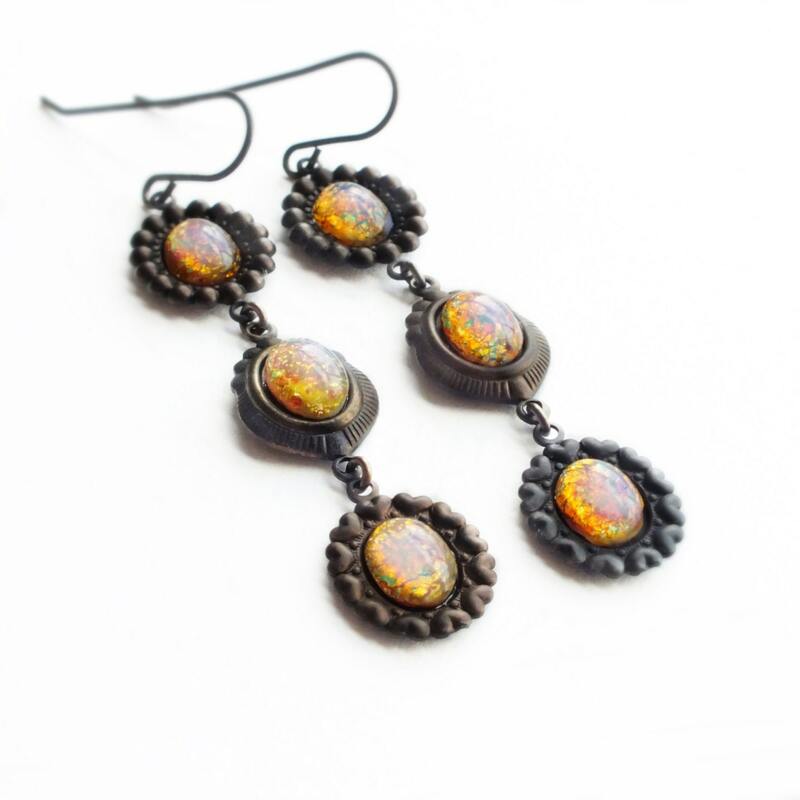 Simply select from drop down menu located under price before clicking 'Add to Cart'.